"This micellar water is a breakthrough single-step cleansing water that allows you to easily remove make up and skin impurities without sacrificing your skin's natural hydration - all without rinsing or leaving any oils behind!" In my May Lust Have It! pack I received a 20mL bottle of the Crealine H2O Make Up Remover and, whilst I loved the product and was actually sent a full sized bottle to review, it broke me out like crazy! I'm looking forward to giving this formula a try to see whether it works like the other but without the breakouts because, well, I really liked the actual product. I will definitely keep you updated. Also, if you want a review of the Bioderma Crealine H2O Make Up Remover, please comment below! 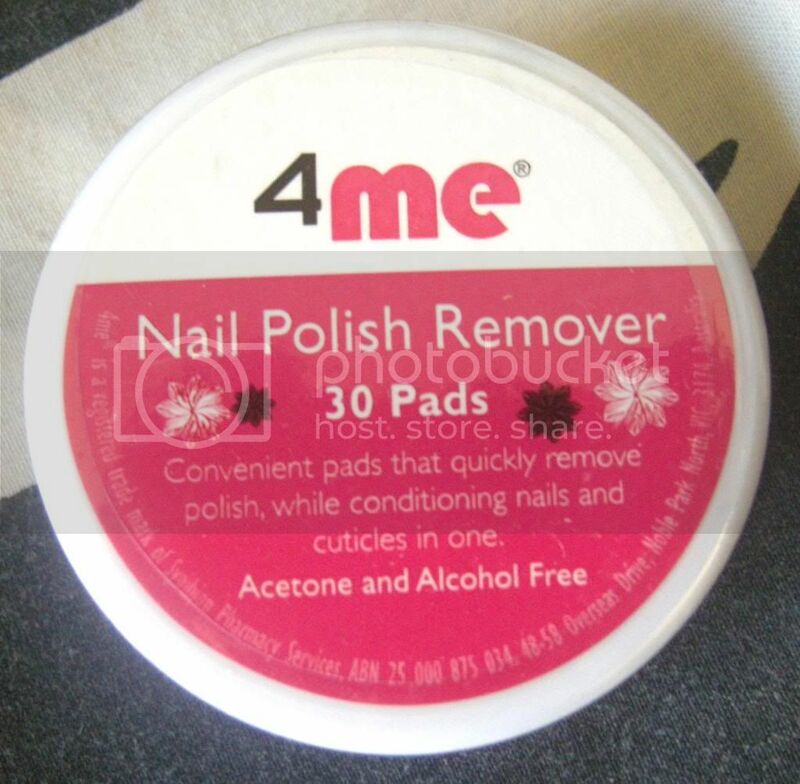 "4me's Nail Polish Remover Pads are super convenient wipes that quickly remove polish, while conditioning nails and cuticles at the same time! Acetone and alcohol free, they won't dry out or damage your nails either." I've been meaning to pick up some nail polish remover pads for a long time now, so these came at the perfect time! I used these the day I received them and, at this stage, I really like them. They are definitely more moisturising than normal nail polish but, with that in mind, leave an oil residue on fingers. This can easily be washed off, however, leaving only clean nails behind. "Sharing the same high quality ingredients as the vitamins range, Swisse Body products offer your skin the same nourishing nutrients as their natural supplements. Containing Vitamins D and F to help preserve the skin and Pomegranate oils to improve skin texture, rub into your hands after your next mani for a perfect polish finish." I never used to like hand creams, however Soap and Glory's Hand Food has definitely converted me. Whilst I still have some left in an open tube, I'm really looking forward to giving this a try when I finish the other. The hand cream has a foil seal on it so I can't smell it, but I'm sure it smells nice. "New season soirees call for frocks galore, which is why your skin should be ready to go on show whenever you need it to be. This lush and creamy body wash provides long-lasting moisture and is a great way to start the day. Be warned: you will crave strawberry smoothies." This smells amazing, absolutely delicious. I'm going away for about two weeks over Christmas so I'm going to take this away with me. Delicious! "With a fast drying gel-based formula, this amazing liner contains micro-glitter particles to adda touch of sparkle to your party look! The precise brush tip makes it easy to apply and can be worn alone or over black pencil liner for an extra pop to your peepers"
June May Lust Have It! pack contained a Bloom Glitter Liquid Eyeliner in Star Struck so I already know this product somewhat. I'm not a huge fan of glitter eyeliner, purely because I'm a neutrals girl, so I gave this to a friend of mine. She too received this eyeliner from Lust Have It!, along with one from Bellabox this month, but she's yet to have this colour. It fits nicely into her collection. 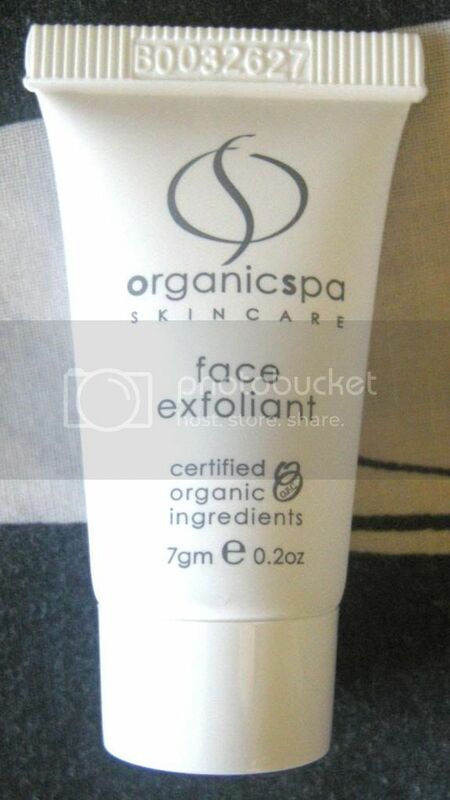 "This creamy scrub gently polishes away dead skin cells and impurities to leave a fresh-faced look behind! The rounded grains of luffa, walnut shell and rice bran helps to stimulate circulation and reveal a smoother, brighter complexion with 100% naturally derived ingredients - suitable for all skin types." As I'm sure you can tell from my responses to products in these subscription packs, I'm not always completely receptive to skin care samples. I'm a huge fan of my skincare routine but I'll definitely add this to my sample collection for times when I run out of my staple exfoliant, LUSH's Ocean Salt. "Formulated with cherry and cranberry extract, which are not only good enough to eat but also help to deeply nourish and soften your skin, this mask also brightens ." Once again, I'm always a little apprehensive about new skincare. In saying that, however, I enjoy giving face masks a try. I'm not sure if I'll end up using this one myself, but it's always nice to have extras for bad skin days! So, everyone, that was my November Bellabox. I'm not super impressed by this box, nor am I disappointed. 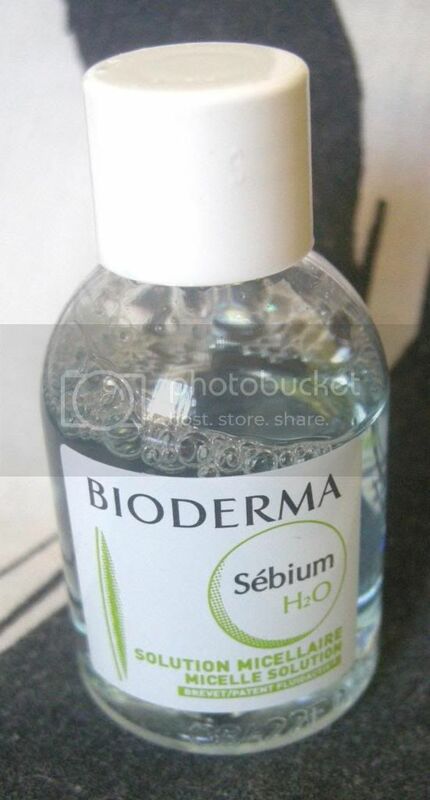 I'm looking forward to seeing whether the Bioderma Sebium H2O Cleansing Water works for my skin. The Palmolive Body Butter Body Wash and 4Me Nail Polish remover wipes will also come in very handy! What did you receive in your latest box? Have you tried any of the products featured before? What did you think of them? Got the same stuff as you except I received an eye cream instead of the face mask. Was pleasantly surprised with the nail polish remover wipes. It felt so dry but it worked really well (except for compact glitters... they were really hard to remove). I got a different box to most people I think.. I (thankfully) missed out on the glitter eyeliner. I got the cheek tint instead. I think the only thing similar with our boxes is the nail polish remover and bioderma! By the way, did you ever receive my email about the benefit? you said that you wanted to buy it so I sent you an email. Hey, Jen! I would have loved to try a cheek tint. What brand was it? I know some people would love more glitter eyeliner (like my friend mentioned in the post), but it's just not for me. It was also by Bloom but the cheek tint was really nice :) I already got the glitter eyeliner in a lust have it pack and never used it.. it'd be good for nail art though like a lot of people have suggested. I always prefer nail polish remover pads to the liquid. I got pretty much the same box as you. I thought this months box was okay but it was nothing to write home about haha!